Warning: If you’re dragging your feet on something, this post may hurt your feelings, but it’s for your own good. I remember times in 2009 and 2010 when I told people I was writing a book, and often they would ask, “What’s it about?,” which is a fair question in and of itself. But some of the people I was in touch with regularly, it didn’t register, and they would ask again and again. I didn’t really think about it until I received my first printed book recently and started showing it to folks. As they held the book in their hands, most of the comments were praise and astonishment that I completed my goal. Writing books is no joke, and a lot of people who say they want to do it or are going to do it, do not ever even try. I didn’t say, “I’m writing a book” to get a reaction from someone, make them care about my project, or look at me differently. Once I said it, I knew I was going to do it. It surprised me how surprised THEY were, because I know me, and they know me–they know I’m a goal-getter. As hard as writing my first book was at times (the process–not the actual writing), I knew I could not give up because I was called to write this book, and I am pretty ambitious. I believe that you give your time to the things that matter most to you. That being said, I push myself harder than anyone else ever could when it comes to my goals. I do what I say I’m going to do– for myself and for others. What matters most to you? You have to figure out what you want, and be ready for the opportunity. Get yourself a mentor, coach, or other accountability partner to help you stay focused. When considering your accountability partner, choose someone you respect enough that you will not easily dismiss him or her. In so doing, you’re more apt to consider that they might be right (even if you don’t initial agree). In starting my business last year, I’ve come across a lot of flakes. – So-called professionals who do not keep deadlines. – Contractors who are not accountable. – Unscrupulous folks who want to get money without putting in work. – People who are not serious. When I was writing my book, I had control. I decided when to write, or not. What to call each chapter. How to name my publishing company. There was very little about my book that I could not control during the writing and editing process. While I was in that mode, I thought it was hard but I hadn’t yet started pre-production. 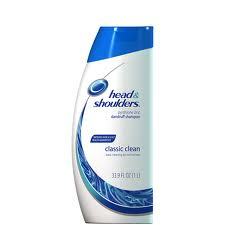 I know my scalp is healthy, but I must have “dandruff” written on my forehead–where are all these flakes coming from? Sometimes when you say you’re going to do something, you have the best of intentions. But what is on your plate? Do you have too many responsibilities to take on one more thing— even it it means a little more cash in your bottom line? And when you find yourself in that predicament, when you realize that it’s just too much to handle, what does it take to ‘fess up and admit that you’re in over your head and cannot deliver “the goods” as promised? Your “say” and your “do” should match. Be consistent. Get honest with yourself. You’ll save your clients, your friends, and yourself so much grief (the earlier the better). 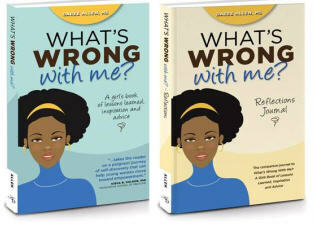 Announcing the Official “What’s Wrong With Me?” Blog Tour!